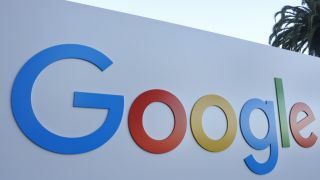 The EU has fined Google €1.49bn for blocking rival online search advertisers as it looks to crackdown on anti-competitive policies. This is third major EU fine that the search giant has incurred in two years and the latest case accuses the US company of abusing its market dominance by restricting third-party rivals from displaying search ads between 2006 and 2016. Google has since changed its AdSense contracts with large third parties to give them more leeway in how they display competing search ads. "Google has cemented its dominance in online search adverts and shielded itself from competitive pressure by imposing anti-competitive contractual restrictions on third-party websites. This is illegal under EU anti-trust rules." According to the European Commission, back in 2006 Google began including “exclusivity clauses” in its contracts which prevented publishers from placing ads from rivals such as Microsoft and Yahoo on search pages. Then in 2009, the company replaced these exclusivity clauses with “premium placement” clauses which required publishers to keep the most profitable space on their search results pages for Google's ads. They even had to request a minimum number of Google ads. Google also required publishers to obtain written permission before making any changes as to how rival ads were displayed, allowing it to control “how attractive, and therefore clicked on, competing search adverts could be”. These restrictive clauses then made it difficult for the company's rivals to grow and compete. “We've always agreed that healthy, thriving markets are in everyone's interest. We've already made a wide range of changes to our products to address the Commission's concerns. Over the next few months, we'll be making further updates to give more visibility to rivals in Europe." Governments around the world are growing increasingly concerned over the power tech giants have over their rivals and the EU's decision to fine Google should serve as a warning for others that have tried to stifle the competition.